Birding Is Fun! : Three Scoter Day! I had never seen a Scoter until the last few days. Today I saw two scoters I had never seen before, Black Scoter and White-winged Scoter. Nemesis birds no longer. Two life birds in one day is a great birding day! Plus, I got to see a male Surf Scoter in breeding plumage. Did I mention that Scoters of any kind or uncommon in the intermountain west? Ahh...Birding is Fun!!! Norm and Gail Jenson had spotted and photographed them yesterday out on the Antelope Island Causeway, so I had to make the chase. Paul Higgins also had taken some nice photos of them yesterday, which I share below with permission. I was concerned that the few inches of snow we got last night might have scared the scoters away, but fortunately they were still there! my feeble attempt at photographing during bad light and a short lens. 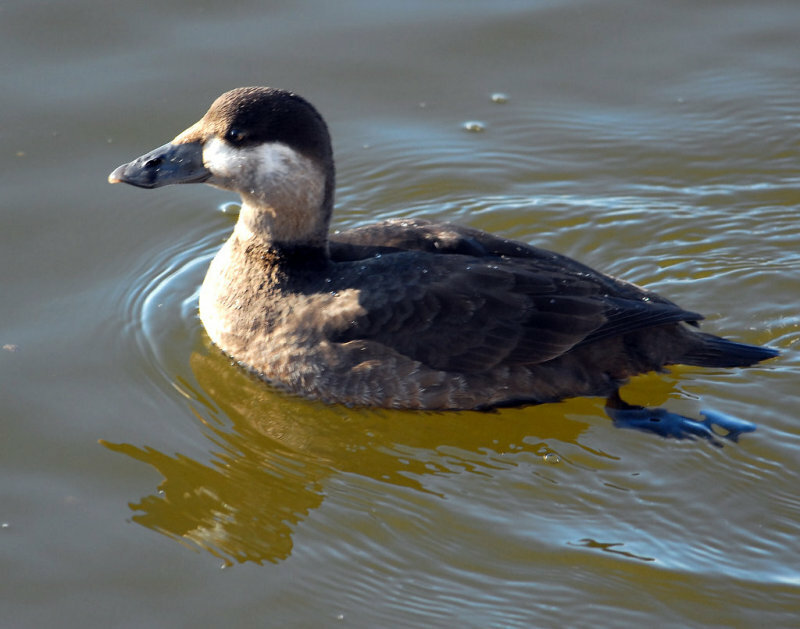 The White-winged Scoter was more cooperative with me as it swam under the bridge I was standing on. The pair of Harlequin Ducks are still with us. One is molting nicely into male breeding plumage. Folks are photographing it nearly every day, so it has been fun to watch it molt before our very eyes. That's fantastic! The life birds seem to be coming home to roost these last couple days (with the BiF associates). A 3 Scoter day too, that's as cool as it gets. Send em' down south when you're done! 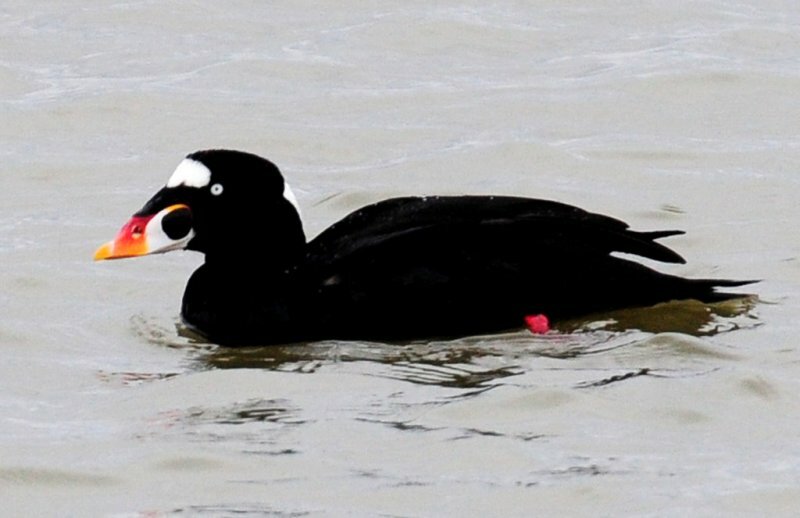 That Surf Scoter is a gorgeous bird!! Congratulations on your 3 scoter day! Funny, I was just reviewing scoters in my field guide reference book yesterday in hopes of spotting something new. White-wings are the only scoter on my list so far. Observed a flock of Harlequins of the coast of Cape Breton just the other day, along with several Long-tails. What a site!! Wow! Excellent photos and I am missing out on all of this!!!!!!!!! BTW, we have scoters here all the time! However, I have yet to see a harlequin! I was hoping for a three scoter day here in Idaho too this weekend ( I think it's a little more unlikely, haha). but we did see surf and white-winged. That's super cool! and Harlequins!